Miguel Pro was born in 1891. He was the third of eleven children, four of whom had died as infants or young children. He entered the Jesuit novitiate at El Llano on August 15, 1911, was ordained in 1925, and executed in 1927. In 1952—just 25 years later—his cause came up for beatification and he was beatified by Pope John Paul II on September 25, 1988. At the time of Padre Pro’s death, Mexico was under rule of the fiercely anti-clerical and anti-catholic President Plutarch Elias Calles who had begun what writer Graham Greene called the “fiercest persecution of religion anywhere since the reign of Elizabeth.” During those years of the Masonic-Communist persecution, the Mexican people rose up in a great war to defend their nation and the rights of the Church and of Christ the King. Their battle-cry was Viva Christo Rey! 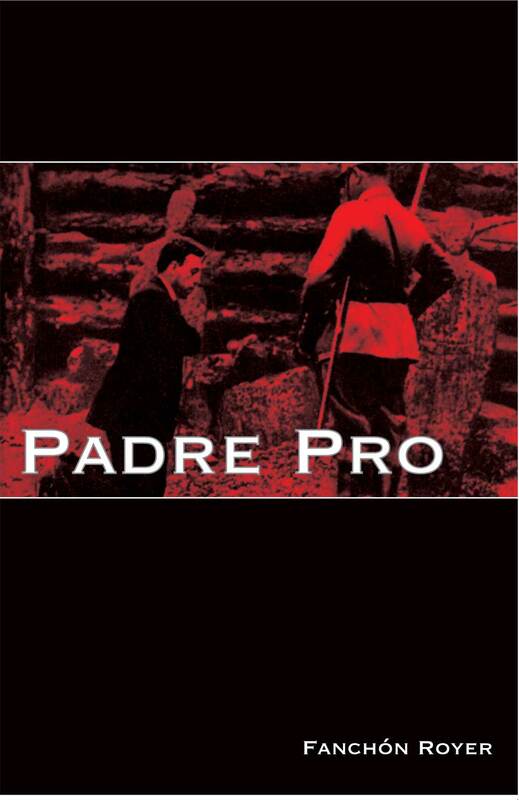 Blessed Padre Pro’s martyrdom came at the height of the war and it typifies the period of the Cristero rebellion and its heroes. He took no part in the war, but spent his life ministering to the poor and faithful Mexicans. He was one of the earliest combatants of communism and a pioneer “priest worker.” While observing the Mexican miners’ needs as assistant to his father, a mine operator, he first recognized his vocation. After entering the Society of Jesus, and spending time in Belgium and Spain for studies, he fell into the company of priests and seminarians who were preparing the way for the apostolate to the worker. When he returned to Mexico at the height of the anti-Catholic persecution, his was a mission to the laborers and to the poorest Mexicans. Disguised in overalls or chauffeur’s gear, he made his unwearied rounds bringing the sacraments and succor for body and soul to countless people. Heroic acts of charity and breathtaking escapes were his daily life. With the police ever on his trail, he daily brought solace and material aid to his persecuted compatriots. That this continued for only two years is not surprising: every day of survival during these two years was a miracle. Fanchón Royer has explored every possible source of information including official records of the Society of Jesus, documents and newspaper files, first-hand memoranda of the Pro family, and Father Pro’s correspondence. Mrs. Royer draws the portrait of an unusual and winning personality whose love of fun, mimicry, music, and poetry never left him during his hazardous and soul searing adventures. Her rich background in Latin-American history and long, intimate acquaintance with the Mexican mind and temperament add greatly to the dramatic power of her narrative.